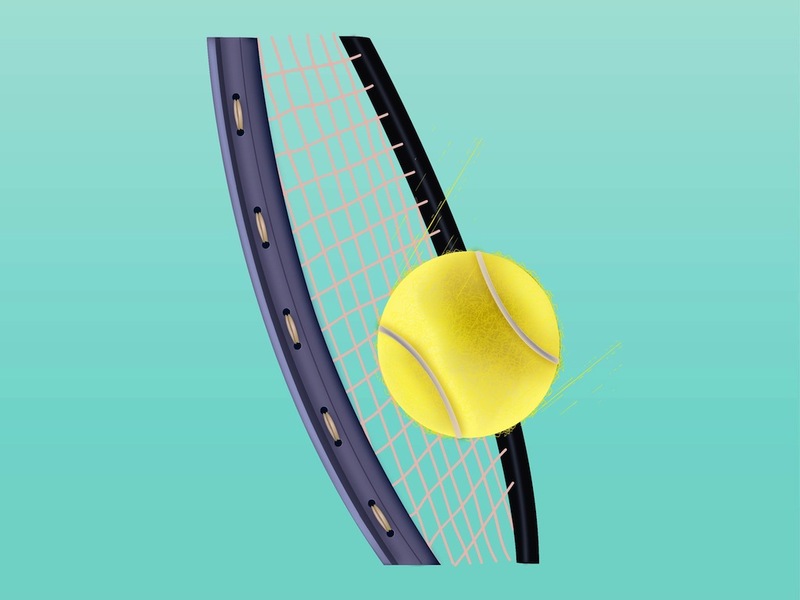 Detailed close-up vector illustration of two pieces of sport equipment. Moving tennis ball hit by a racket. Realistic details on both pieces. Free vector sport illustration for all tennis, working out, smash, training, professional sport, championship, advertising poster, flyer, wallpaper or background images. Tags: Close-Up, Detailed, Game, Hit, Hobby, Leisure, Play, Smash, Sport.